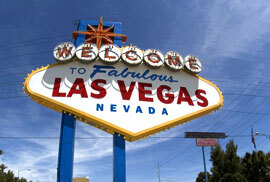 The rules for playing Las Vegas Strip are different than you are used to, if you are a regular Blackjack player. Splitting is one of the most used options in this particular version of a game, but with different rules, and you should be aware of them. Of course, the main goal is still reaching 21, but the dealers often stick to their 17s. Like in the regular version, the first two cards you can double down. When splitting Aces, new hands cannot be split again. In case you get 10 on split Ace, it is counted as 21, but not as blackjack. Another thing about splitting Aces - you can get only one additional card. You cannot double down after splitting, but if you split your Aces, you can. If you can split some other pair, you can split again, up to having four hands from initial one. Another difference is that you can split all the faced cards - all the cards that count 10. Therefore, if you get King and Queen, you can split them into two hands. If you want to buy insurance when you see the dealer has an Ace, you have to do it before anything else. Nevertheless, if you decide to split your cards after insurance paid, you will lose it. Even if you are experienced player of different versions of Blackjack, it is strongly advisable to learn the rules for this particular version before playing, and to practice for a while before investing your money.